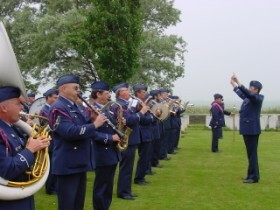 Op donderdag 7 juni herdacht Nieuw-Zeeland de 90e verjaardag van de slag om Mesen in 1917. 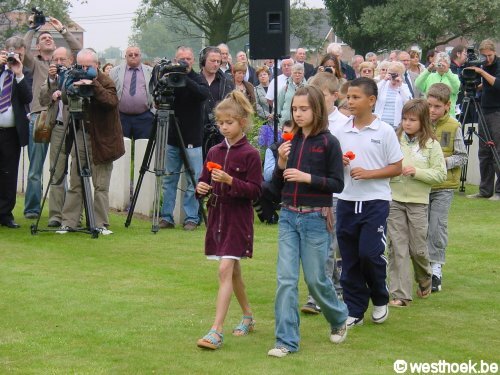 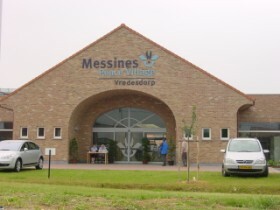 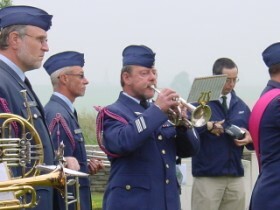 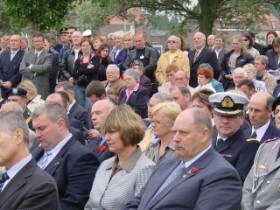 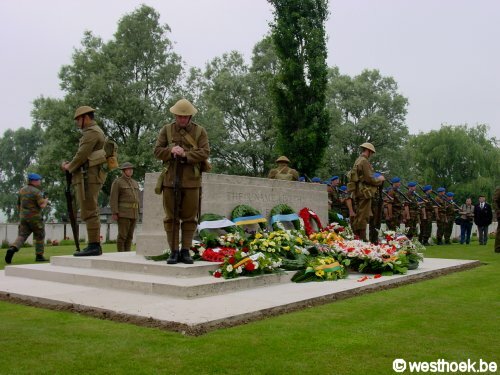 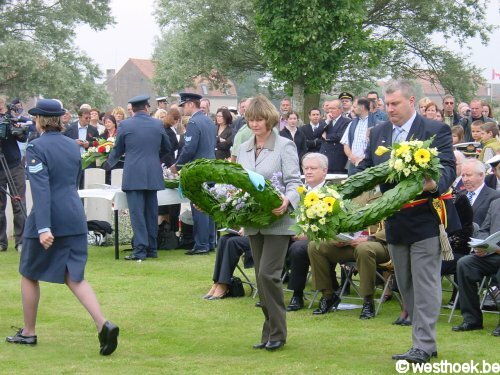 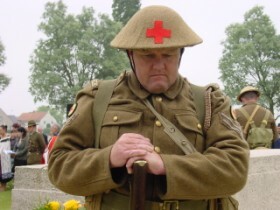 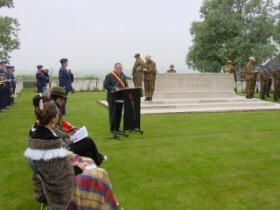 Om 10.00 uur vond een plechtigheid plaats op Messines Ridge British Cemetery. 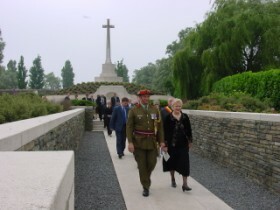 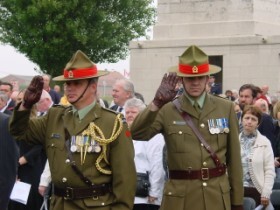 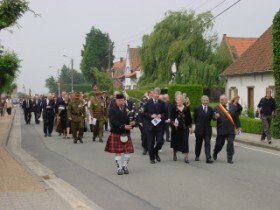 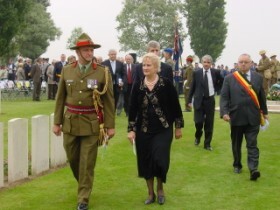 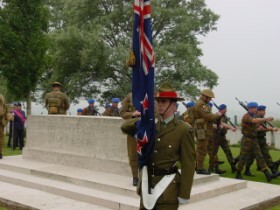 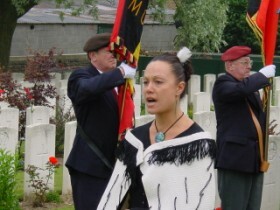 Please find below some pictures of the New Zealand 90th aniversary of the Battle of Messines 1917. 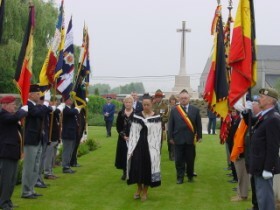 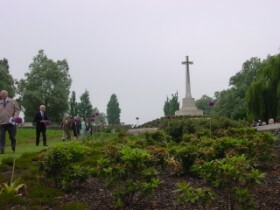 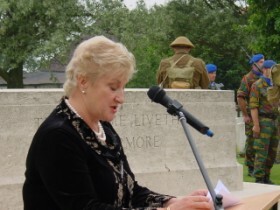 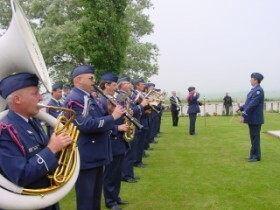 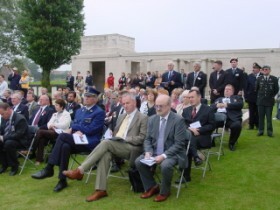 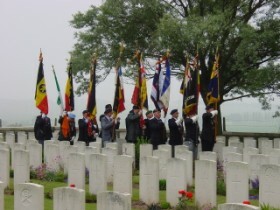 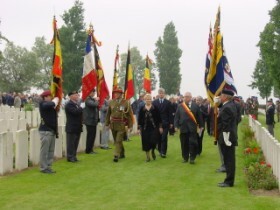 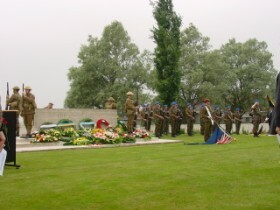 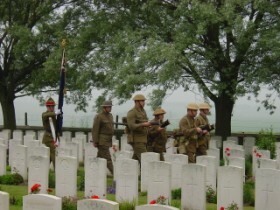 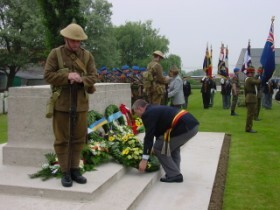 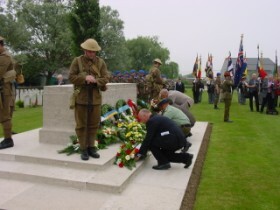 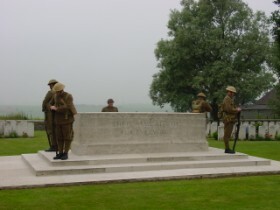 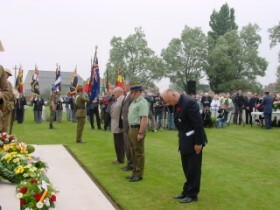 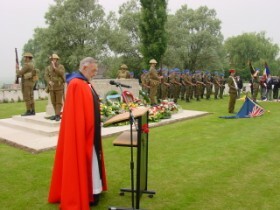 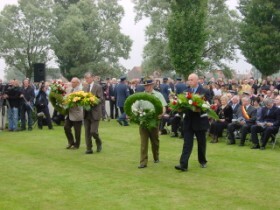 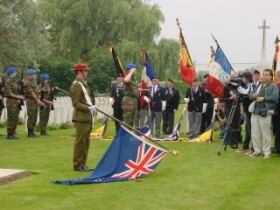 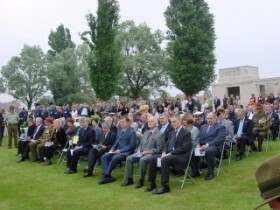 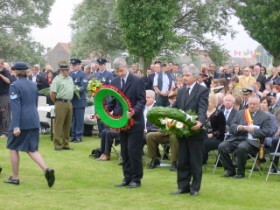 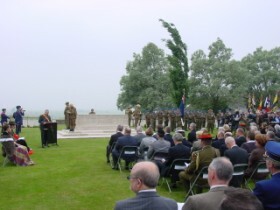 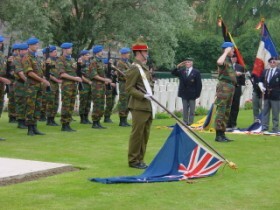 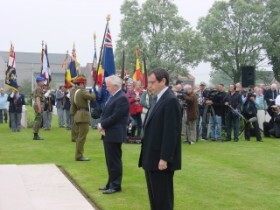 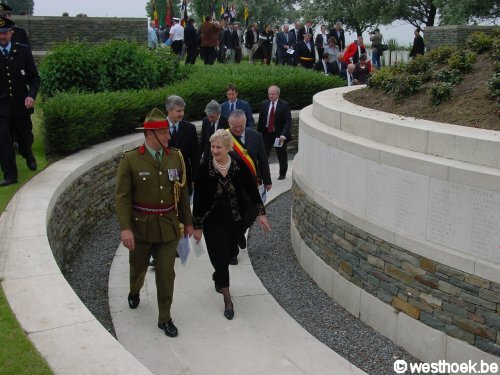 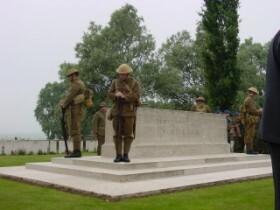 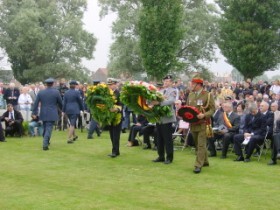 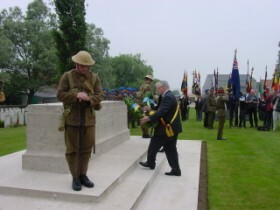 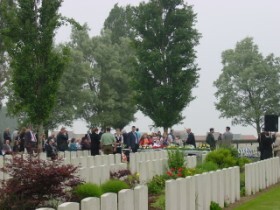 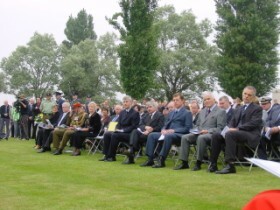 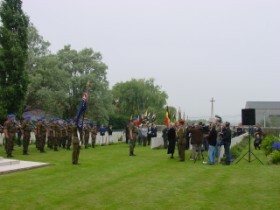 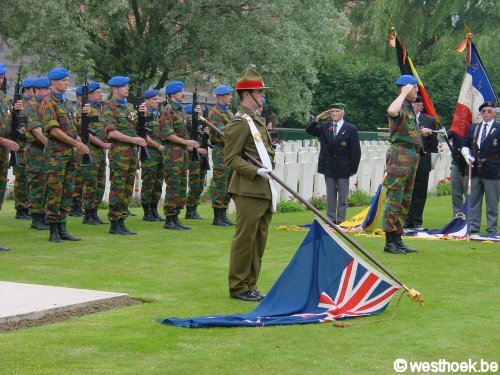 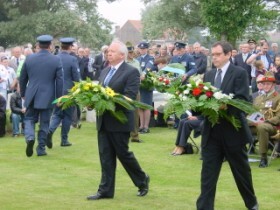 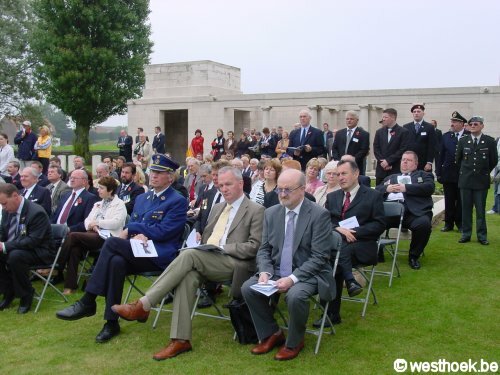 On Thursday, June 7th, a ceremony took place at Messines Ridge British Cemetery. 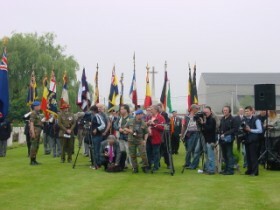 Op enkele foto's kun je klikken voor een grotere weergave. 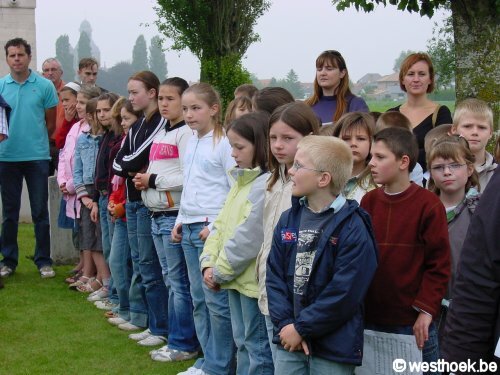 / You can click on some pictures to enlarge. 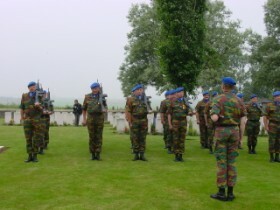 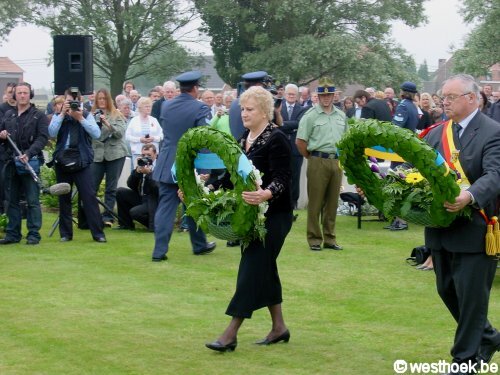 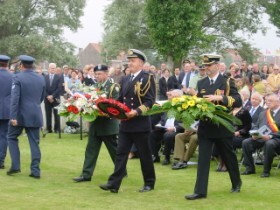 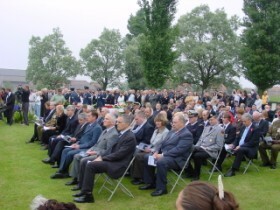 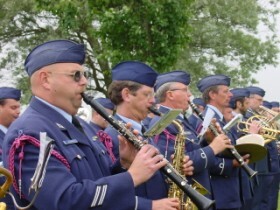 Vooraan op de begraafplaats het gedenkteken voor de vermiste Nieuw-Zeelandse soldaten. 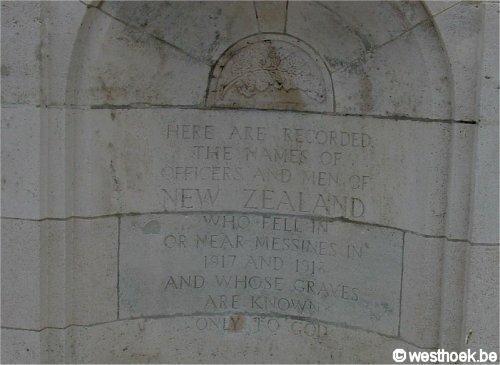 At the entrance the memorial for the missing soldiers of New-Zealand. 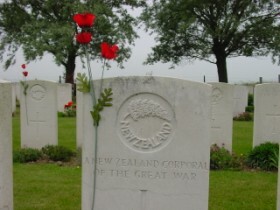 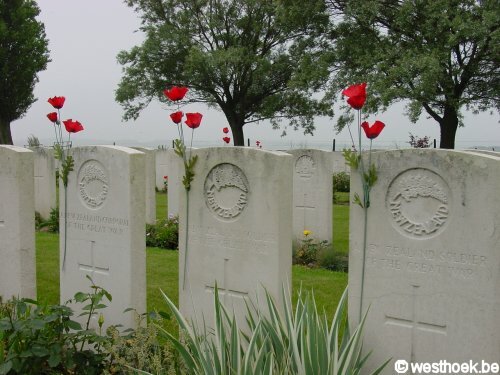 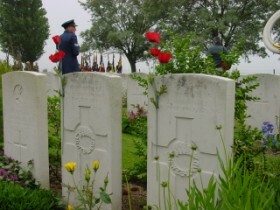 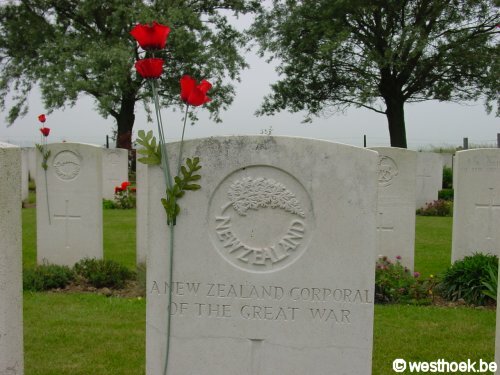 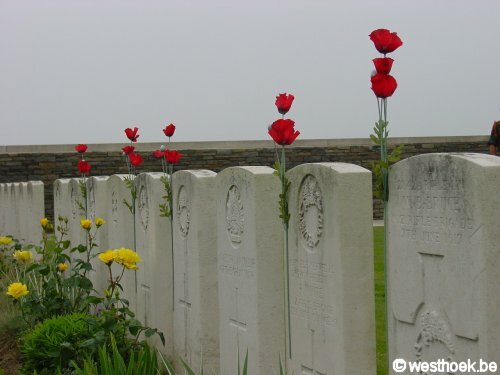 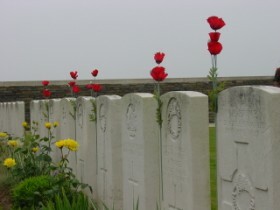 The graves of the fallen soldiers of New-Zealand have a rose. 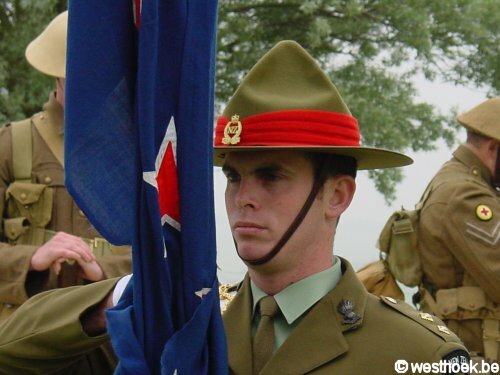 The New Zealand flag was borne by Lieutenant Anthony McLeod of the New Zealand Army. 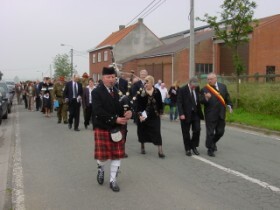 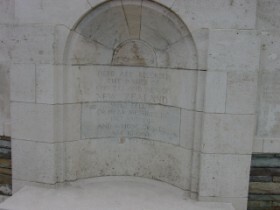 The Guard was formed from the soldiers of the Ieper camp. 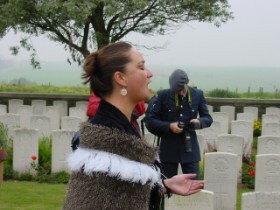 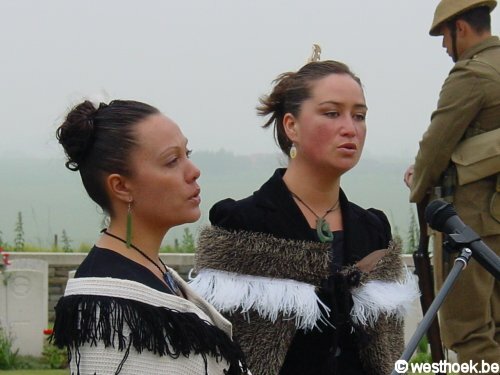 A traditional Maori calling to the offcial party welcoming them to the ceremony. 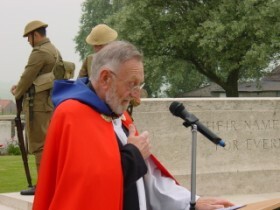 Bidding and welcoming prayer by the Reverend Canon Ray Jones from St. George's Church in Ypres. 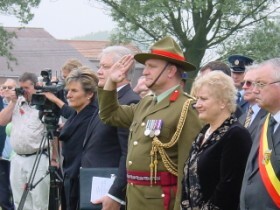 Mayor Sandy Evrard and the Mayor of Featherston, both cities twinned with eachother. 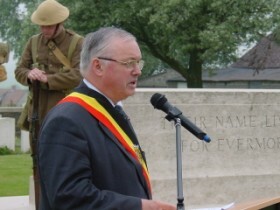 Address by the Governor of West Flanders, Mr Paul Breyne. 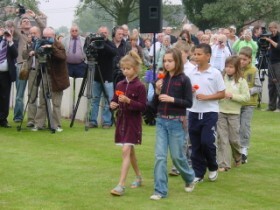 Children of the school at Messines. 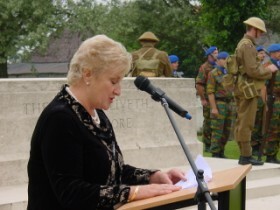 Address by the New Zealand Minister of State Services, the Honourable Annette King. 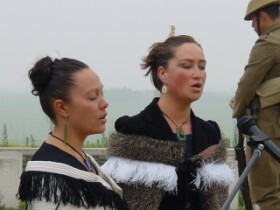 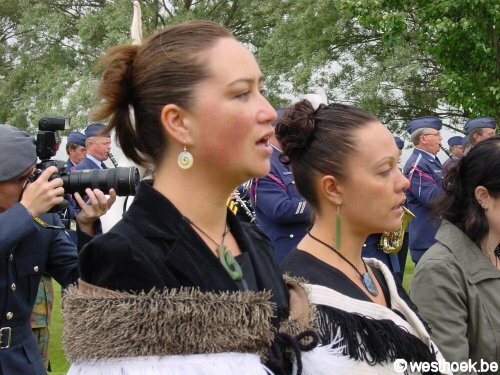 Waiata sung by Puna Heremaia and Precious Clark. 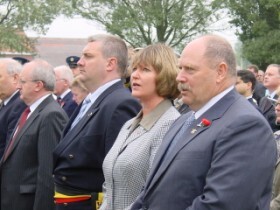 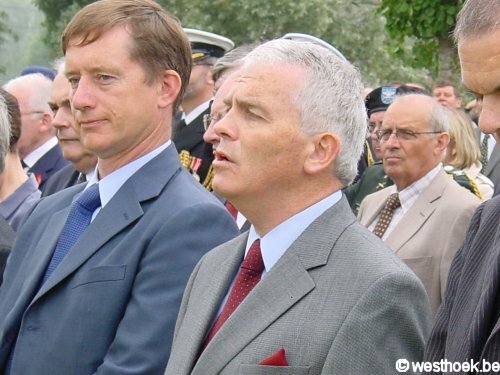 The United Kingdom Minister of Veteran Affairs and William O'dee, Irish Minister of Defence. 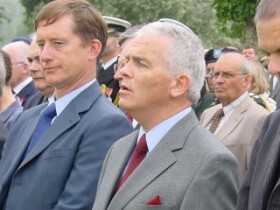 The Ambassador's for Australia and Ireland. 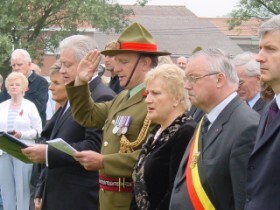 The Mayors of Messines and Featherston. 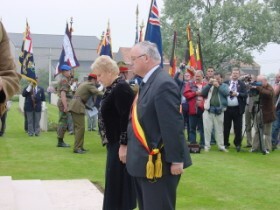 The Mayor of Zonnebeke and Heuvelland and the cities of Komen and Ieper. 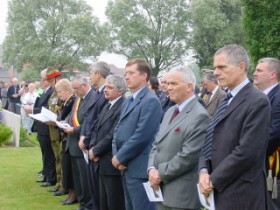 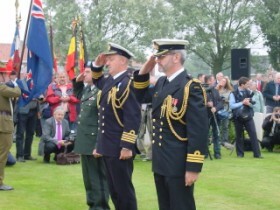 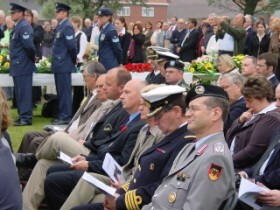 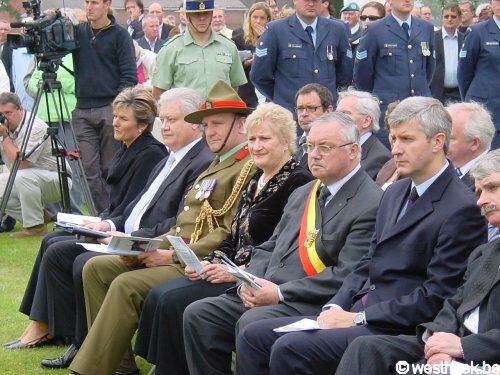 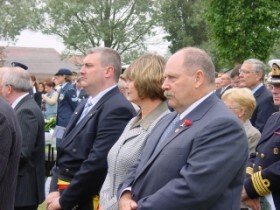 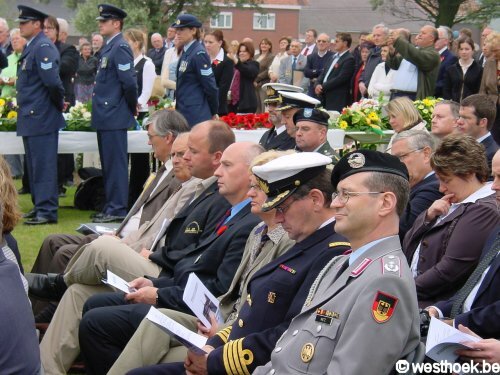 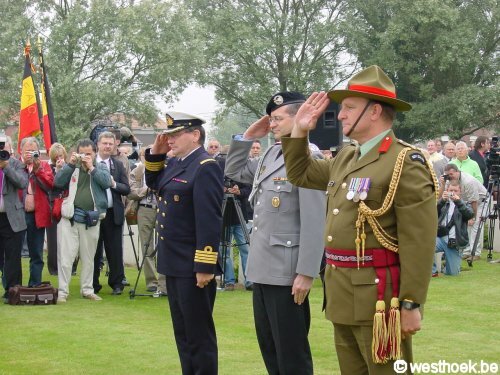 The Defence Attachés for New Zealand and Germany and the Provinciecommando of West Flanders. 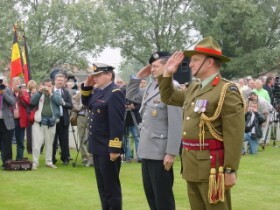 The Defence Attachés for Australia, United Kingdom, United States of America and Canada. 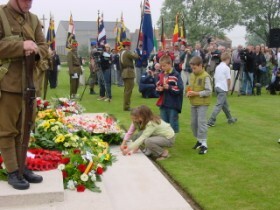 Flowers from the children from Messines. 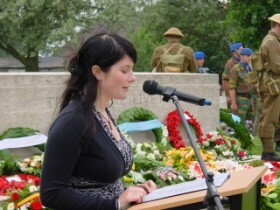 Extract from a letter written by Rifleman Edward Millar of the 1st Battalion 3rd New Zealand Rifle Brigade, following the assault on Messines, read by Amie Fournier, a New Zealand exchange student currently studying in Belgium. 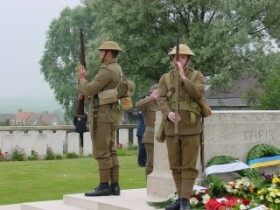 Last Post followed by one minute silence. 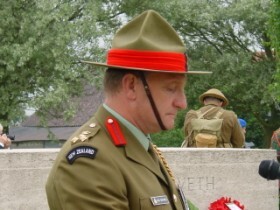 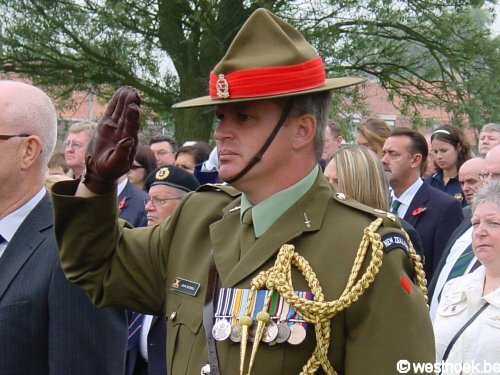 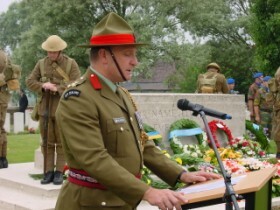 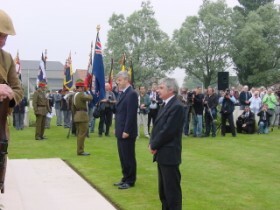 The Ode recited by Brigardier Paul Southwell, New Zealand Defence Attaché. 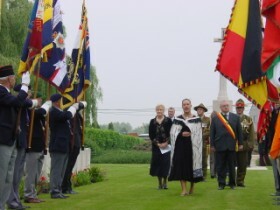 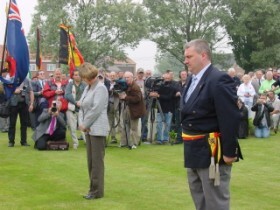 Followed by the national anthems of Belgium and New Zealand. Ambassador Wade Amstrong sings his national anthem 'God defend New Zealand'. 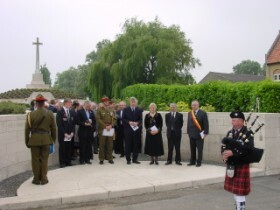 Departure for the unveiling of the memorial to Samuel Frickleton, VC.